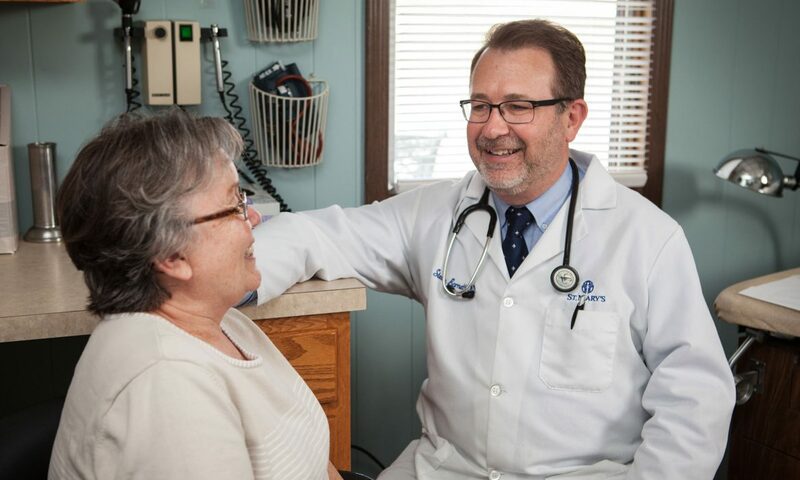 MissionPoint Health Partners, a population health management company, works to improve the overall health of its 250,000 members through proactive and preventive activities such as immunization, screenings and lifestyle management. It needed to inform and inspire members to take action and use the benefits available to them through MissionPoint. 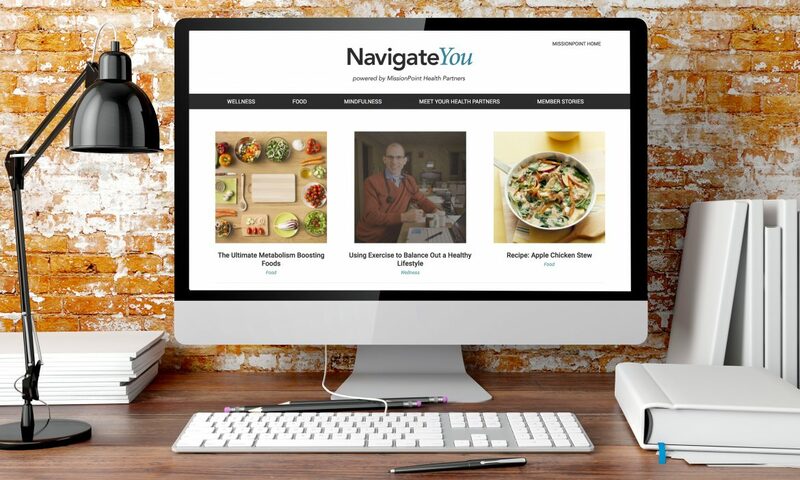 Navigate You, a print newsletter and online resource, highlights members’ success stories and offers advice for healthier living. 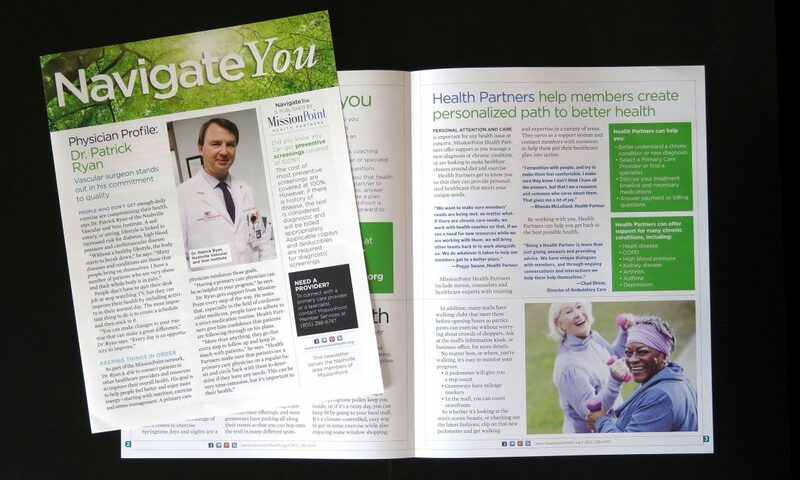 MissionPoint also wanted to provide the healthcare marketers in its network with tools to communicate the benefits of the organization. 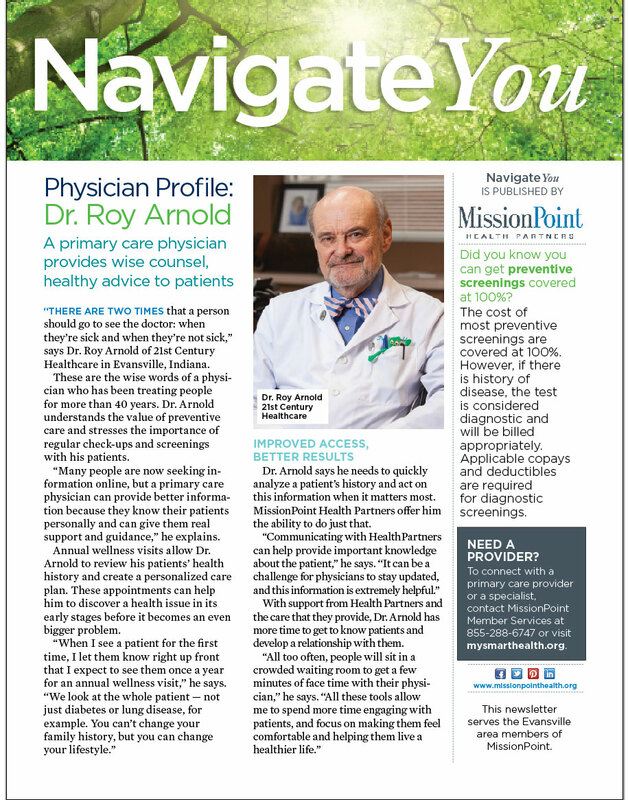 The solution, an internally focused microsite, gives immediate access to relevant information that allows communicators and MissionPoint Health Partners to serve patients.